Are there Any Risks to Using Peppermint Oil in your Facial Hair? Peppermint oil is made from the leaves of the peppermint plant (Mentha x Piperita). The oil is often extracted from either fresh or dried peppermint leaves using alcohol as a solvent. Like all of the essential aromatic oils, peppermint oil is extremely volatile and prone to lipid peroxidation, which is why it must be used carefully and stored in dark bottles (heat, oxygen, and light make it rancid very easily). When it comes to peppermint oil for beard use; the oil is most commonly used in small quantities in beard oils to enhance the aroma. And due to the fact that pure essential peppermint oil is potent stuff, usually just a few drops per 1oz. dropper bottle is plenty enough. But here’s the question; is peppermint oil really good for facial hair use? Some say it helps with growth, but how much of this is really based on evidence? Peppermint essential oil (PEO) is a popular ingredient in beard oils. Consumption of peppermint and spearmint tea ORALLY can lower androgens in animals. Spearmint tea (ORALLY) is used by hirsutism-battling women to reduce beard growth. 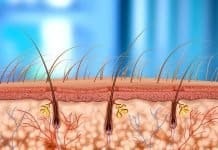 When applied directly to the skin, there’s NO EVIDENCE of topical androgen reduction. Below, we have listed some evidence as to why you may need to be cautious about beard products that use peppermint essential oil in them. Do note that most of the evidence is for oral use, and effects may differ when applied directly to the skin and facial hair. It’s without question that peppermint oil has a really nice scent. And in my humble opinion, scent-wise, its one of the best smelling essential oils to use in beard products. 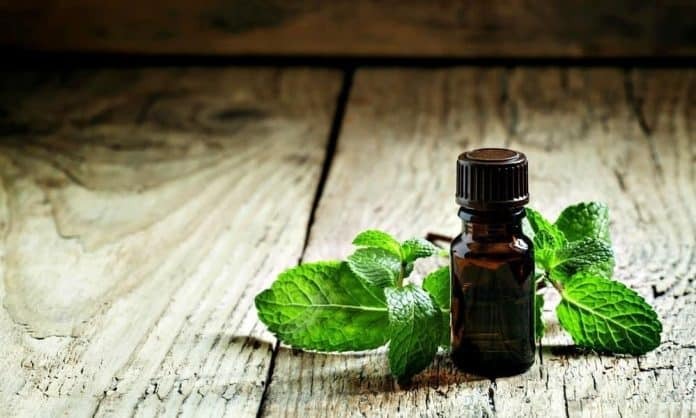 Apart from the nice scent, a lot of people are saying that you can use peppermint oil for beard growth, as it would naturally enhance circulation to the facial hair follicles. Sure, but sadly, peppermint oil is far from perfect. Even though I like the scent and have seen the claims of peppermint oil boosting facial hair growth rate, I never use peppermint oil in any of my DIY beard care products, and I try to never buy – and avoid recommending – any beard products that use peppermint extracts or oil. 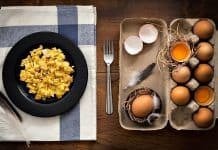 Well, before I started this website and got more into growing a beard and learning about it, I spent most of my days writing about men’s hormonal health. 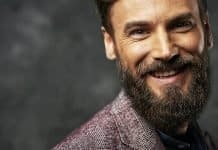 And since the same androgenic hormones that I wrote about happen to be the exact hormones that trigger and fuel beard growth in men (testosterone and DHT), it’s only natural that some of the stuff I read about crosses paths with beard care as well. One of such cases is the mint-family of plants, peppermint, spearmint, menthol, etc. As it happens, many of the plants in the mint-family are fairly potent at lowering testosterone levels. Peppermint (which is a hybrid between watermint and spearmint) is one of the troublesome androgen suppressing compounds, and for that reason, I’m inclined to say that it shouldn’t be put near the beard (androgenic-hair). The first one is a rat-study, where 48 rodents were assigned to four different groups1. The first group received water (control). The second group got 20g per liter peppermint tea. The third group was given 20g per liter of spearmint tea. And the fourth group got 40g per liter spearmint tea (double-dose). So what happened? Well, when compared to the control group; the group getting 20g/L of peppermint saw their testosterone drop by 23%. 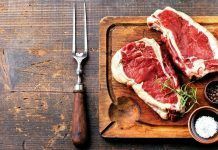 The group with 20g/L spearmint tea saw a 51% reduction, and the fourth group with the double-dose of spearmint saw their testosterone production dropping by a whopping 76%. Mind you, the human equivalent dose of the above is just ~5 grams of peppermint or spearmint leaves infused in a cup of water. And the pure oils produced from the leaves are far more potent than just using the leaves or drinking the tea. Sure, humans are not rats, but the endocrine system is fairly similar, which is why studies like this are conducted. 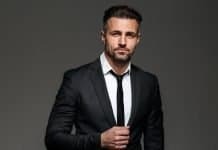 And since testosterone is the primary androgen, and facial hair is androgenic hair, this paints a really bad picture for the purported use of peppermint oil for beard growth. Spearmint (which peppermint is a hybrid of) has been studied more extensively, and in a 2008 study it was noted to have potent antiandrogenic effect in male rats2, and a 2014 study showed that it likely causes oxidative damage in the hypothalamus (brain substrate regulating testosterone production) and trough that causes lower testosterone production3. 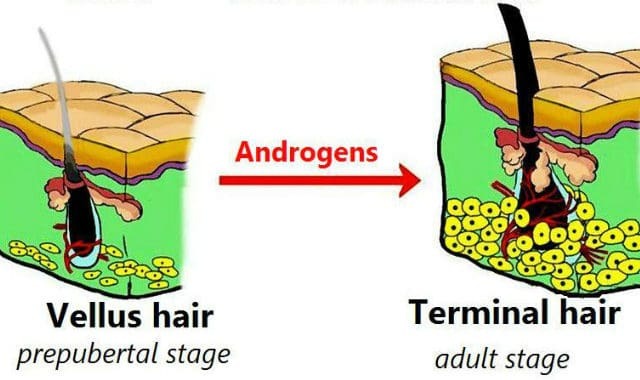 If the animal evidence isn’t enough, there are also studies on women who battle with PCOS-induced high testosterone, which causes a nasty side-effect of facial hair growth (hirsutism). Luckily the women can effectively reduce their facial hair growth by using the plant oils and extracts of the mint family. One study effectively showing how 2 cups of spearmint tea per day resulted in a 30% reduction in testosterone4, and a further replication of the study which also saw that spearmint tea reduced hirsutism (facial hair growth) and slashed testosterone levels5. 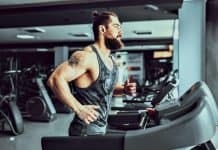 …But for men who seek to have high testosterone levels so that they could grow their beards more and keep the gains coming, that’s absolutely horrible news. 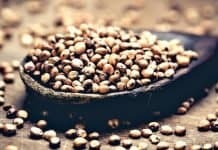 To be fair, there is a study where peppermint oil increased hair growth on rats, due to its effects on circulation and promotion of growth hormone (IGF-1)6, but with the possible testosterone suppressing effects, I’d be still hesitant to recommend it after learning about its effect on testosterone. 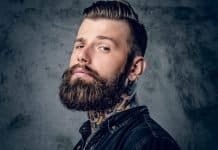 And since a lot of the people who use peppermint oil for beard growth also use minoxidil, it can be hard to gauge the true effects, since minoxidil is so effective that it should enhance your facial hair growth anyway, even if you’d accidentally suppress testosterone with peppermint oil. I have previously recommended a few products that have a small amount of peppermint oil, which I will now be curating and changing to some better alternatives for sure. It’s interesting to see if any brands remove it from their formulations, probably not, but it’s worth a try to at least bring more awareness to the research. Is there any legit reason to ever use peppermint in a beard oil or other beard care products? No. Not really. Despite the fact that it smells great and that some people state that it would improve growth, the evidence points strongly to the fact that the plants from the mint family, peppermint included, can significantly suppress androgenic hormones even in small doses. Heck, women who grow beards due to too high testosterone production use spearmint (again, which peppermint is a hybrid from) to suppress the facial hair growth. 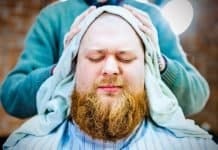 So if peppermint is bad for the beard, are there any other essential oils for the scent that could be used instead? Yes, I would recommend either spruce oil or balsam fir needle oil. Both have shown androgenic effects in a trial by Dr. John Berardi (you can read more about those from here). Akdogan M, Ozguner M, Kocak A, Oncu M, Cicek E. Effects of peppermint teas on plasma testosterone, follicle-stimulating hormone, and luteinizing hormone levels and testicular tissue in rats. Urology. 2004;64(2):394-398. Kumar V, Kural M, Pereira B, Roy P. Spearmint induced hypothalamic oxidative stress and testicular anti-androgenicity in male rats – altered levels of gene expression, enzymes and hormones. Food Chem Toxicol. 2008;46(12):3563-3570. Nozhat F, Alaee S, Behzadi K, Azadi C. Evaluation of possible toxic effects of spearmint (Mentha spicata) on the reproductive system, fertility and number of offspring in adult male rats. Avicenna J Phytomed. 2014;4(6):420-429. 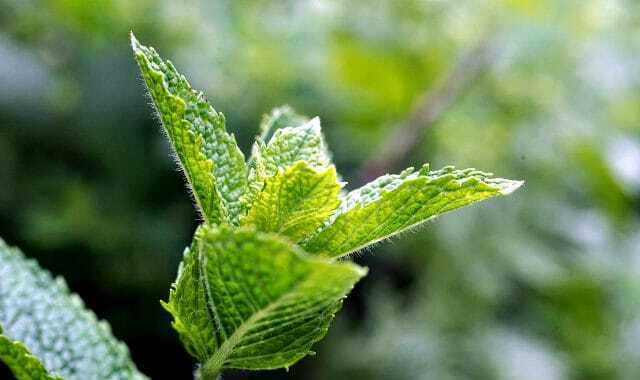 Akdoğan M, Tamer M, Cüre E, Cüre M, Köroğlu B, Delibaş N. Effect of spearmint (Mentha spicata Labiatae) teas on androgen levels in women with hirsutism. Phytother Res. 2007;21(5):444-447. Grant P. Spearmint herbal tea has significant anti-androgen effects in polycystic ovarian syndrome. A randomized controlled trial. Phytother Res. 2010;24(2):186-188. Oh J, Park M, Kim Y. Peppermint Oil Promotes Hair Growth without Toxic Signs. Toxicol Res. 2014;30(4):297-304. Hello, I have used peppermint oil for hair growth since the last couples of weeks. Do you think, that there is a possibility that it will inhibit my testosterone levels? No, I don’t think using it topically will lower your blood testosterone levels to any significant degree. Avoid eating it and drinking the tea though if your goal is higher testosterone, however. This article is very misleading and I think you are misinformed. Consumption of Peppermint and Spearmint Tea is in no way, shape or form relevant to the topical application of Peppermint Oil. There is no evidence presented in this article whatsoever that shows that Peppermint Oil inhibits DHT when applied topically. You can’t just make that assumption based off of the tea study. Caffeine, when applied topically, inhibits DHT, but actually boosts it when consumed. This whole article needs to be severely overhauled. Fair points and I already stated this fact in the article (highlighted in green now so people don’t miss it). “Peppermint essential oil (PEO) is a popular ingredient in beard oils. Hi! thanks for that article, is incredible. What’s about eucalyptus oil? I’ve been using castor oil + jojoba oil + eucalyptus oil like a moisturizer, but now idk if it’s good for my beard.. :S can you tell me something about that? Not a fan of eucalyptus oil personally. I’m sure it won’t make your beard fall off though, just might have negative impact on DHT/T. Castor and Jojoba are great and I would use those only instead. I am using PEO drops mixed with carrier oil for my hair – not my facial hair -. Will this also miss with my testosterone!? Or is it different situation since I don’t use it for my facial hair? Hello Ali,great articles you have here. 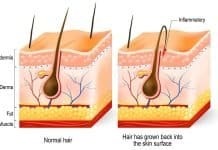 But i’ve read about an article regarding PEO for hair growth when applied topically,and interestingly,they found out that PEO are 60% more likely to help with hair growth compared to MXD/Saline subjects. Can you help to clarify this matter? Seems conflicting. But not saying you are wrong,just trying to clarify. The studies was published by ncbi journal. 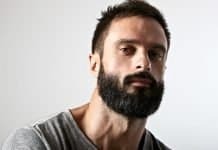 Yeah, I’m aware of the study, and I’m kind of on the edge about PEO for beard growth purposes because of that and the lack of evidence for topical application. However, I’m personally still not using or recommending it. I see the studies on its oral ingestion dropping testosterone as reason enough to play it safe and just limit the use. Sadly, essential oil research is extremely expensive and there will likely never be a study to examine PEO’s direct effects on the hormone levels in the tissues after topical application, so the full truth will likely remain as a mystery. I’d like to see that study too if that’s all right. What you’ve provided in the article is true but it all points to ingestion, not topical use. Tea is not the same as topical so you are conflating quite a bit here. Not all topical products have the same effect when ingested. Look at caffine, according to reports it raises DHT when consumed and blocms DHT when applied. Valid point there. Depending on whether the leaves are dried or not, a lot of the oils will be diluted into the tea, so they can’t be completely isolated from each other either. But yes, you’re right about the difference between topical/ingested. I have seen a study where topical peppermint was able to reduce sebum production via 5-a suppression but will have to look it up.